This is the coolest J45 I have ever had the honor of owning. We suspect this was a custom order by all of the factory upgrades. 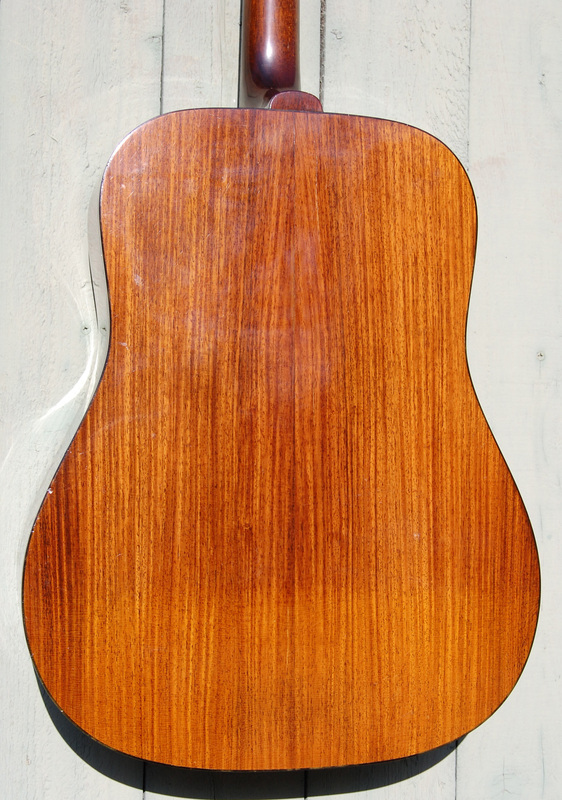 Thin neck, Kluson 'Waffle back" tuners, gorgeous highly figured mahogany back and sides, tortoise binding matches the double pickguards, and a natural finish on some of the best Spruce you have ever seen. 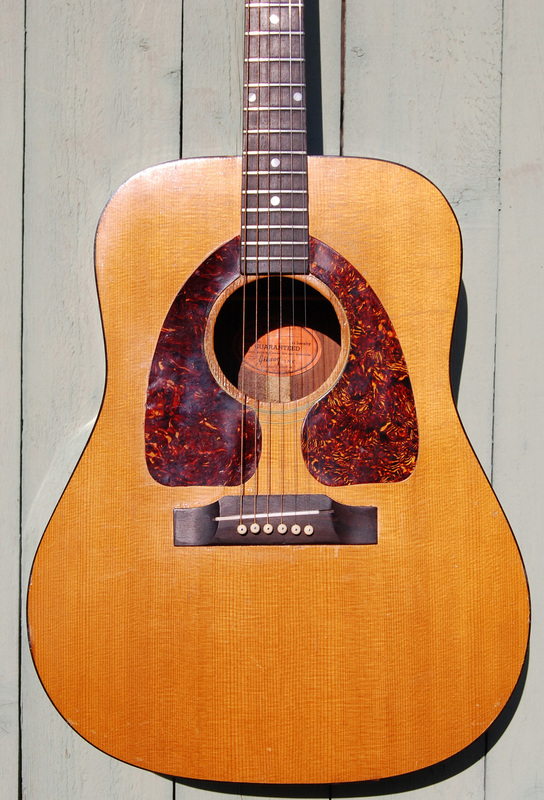 The bridge shows evidence that it started out as a right hand and was expertly converted from left by Gibson to right. This guitar sings and sustains better than most. It is a very special instrument. My guitar tech suggested I should keep this one. He said he had trouble setting it down. It is an inspiring guitar. The frets and fretboard are in very good condition. The frets may be newer. 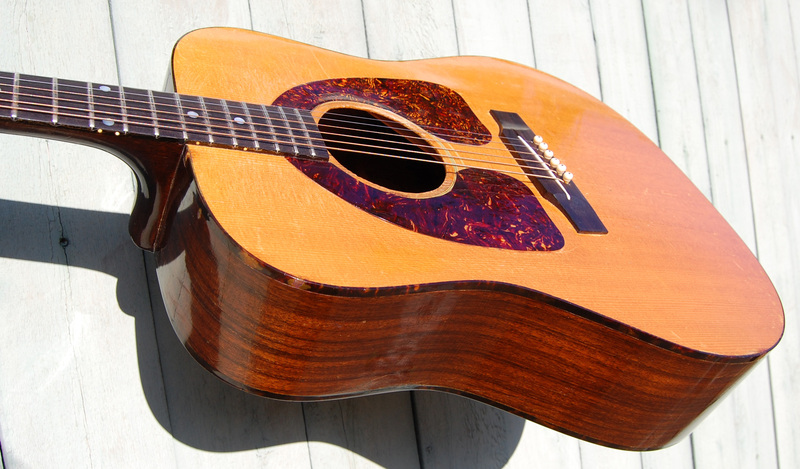 This guitar plays like butter all the way up the neck with no fret buzzes. The neck is straight as an arrow. Kalamazoo quality. 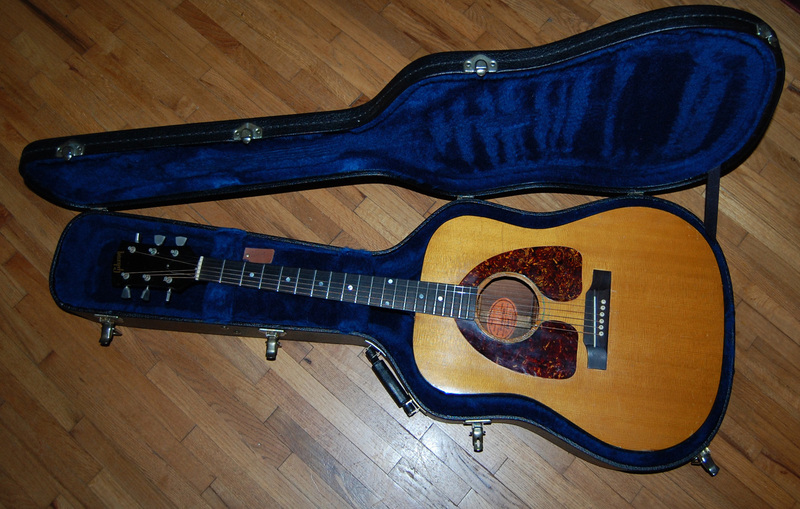 Comes with non original Gibson hard case in good condition.